HT Holden front end grille ring in solid sterling silver. 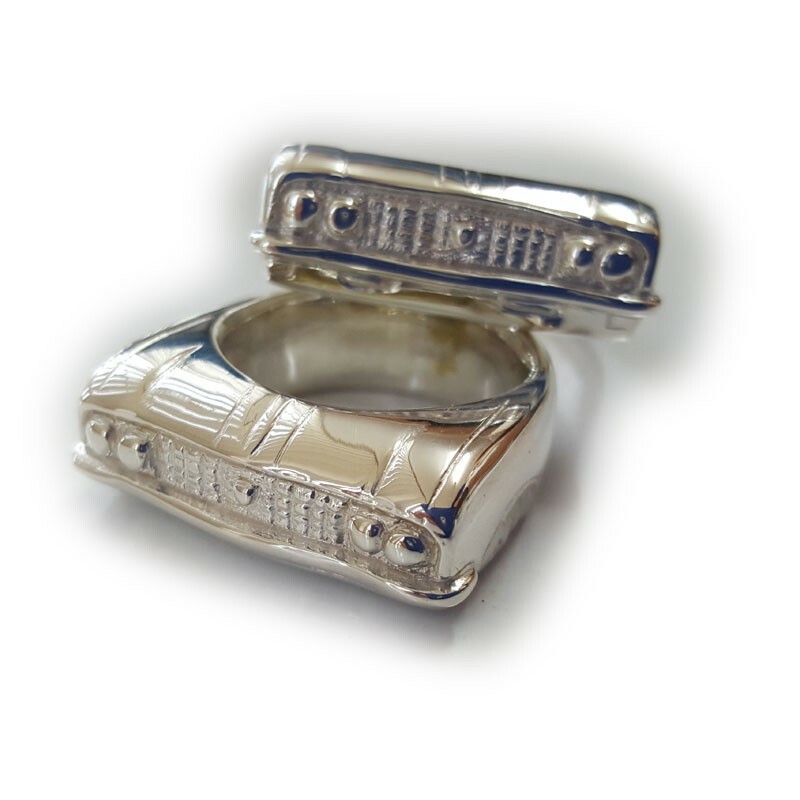 HT Holden front end grille ring in solid sterling silver. Hand made and designed in Australia by RPM Jewellery. 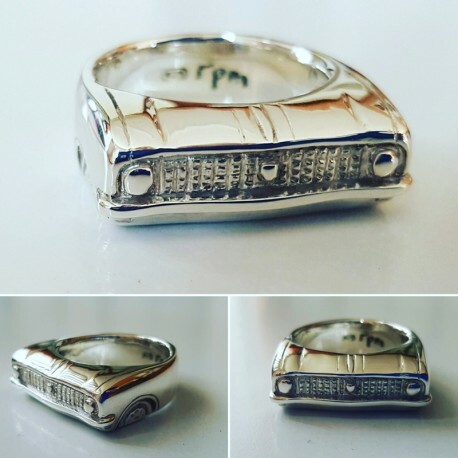 Modeled after the classic HT Holden front end and grille this solid silver ring is perfect for HT Monaro, GTS, Belmont, Brougham,Kingswood or Premier lovers! 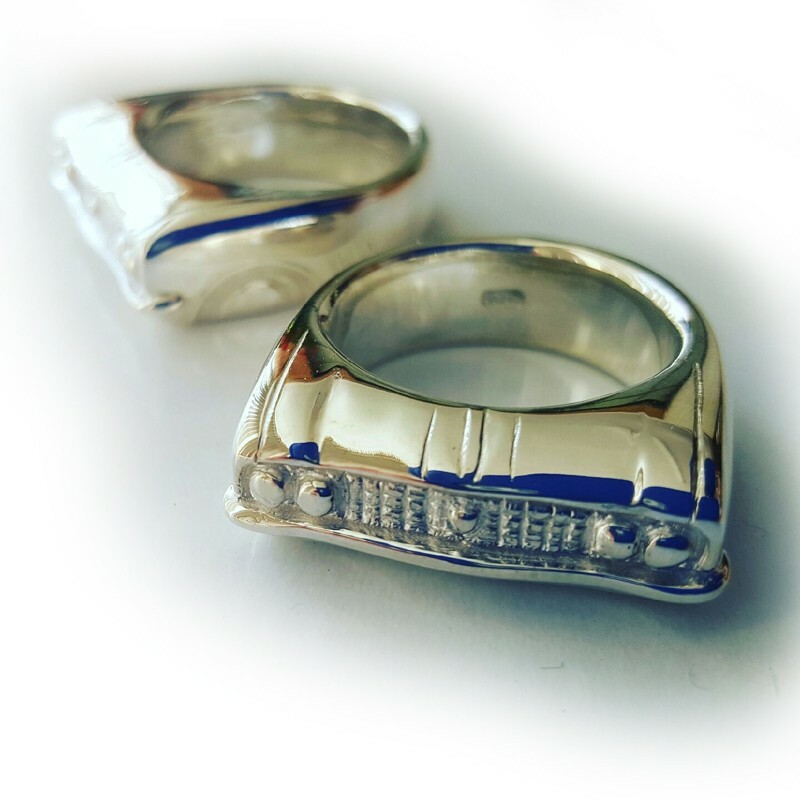 This ring design may also have stones set into the headlights to add some "show and shine". HT Holden front end and grille in solid sterling silver. Chunky Solid Sterling Silver. Hand made and designed here in Australia. Modeled after the classic HT Holden front end and grille this solid silver ring is perfect for HT Monaro, GTS, Belmont, Brougham,Kingswood or Premier lovers whether you own the real deal or just wish you did! Other Aussie classic car designs can be made upon request for special occasions or just because you would love something unique!! Most designs we are happy to incorporate as part of our range for a mutually realistic price. 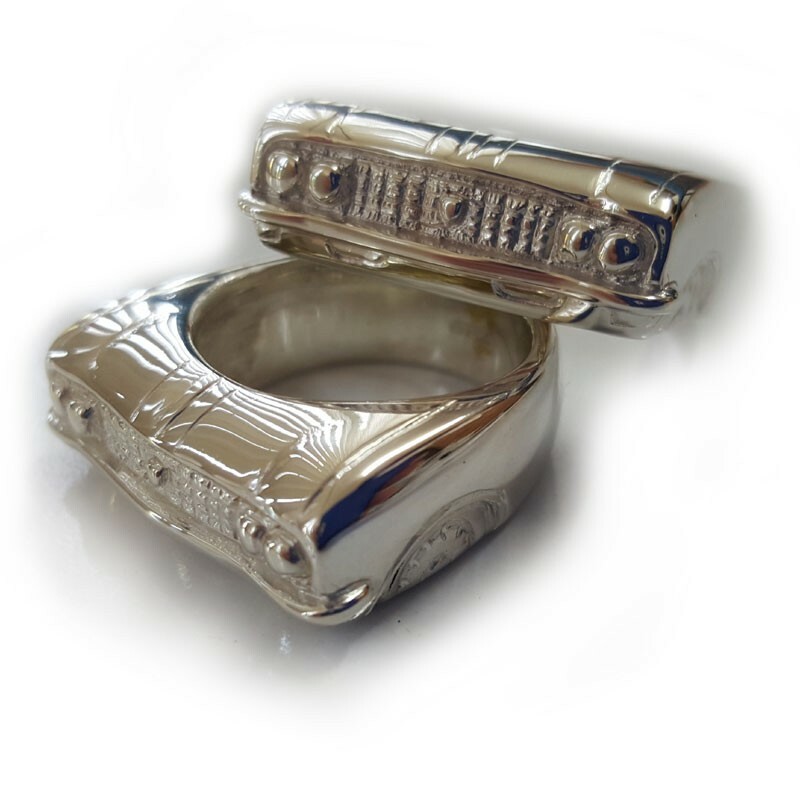 Check out our other Holden designs to match this ring.